I love it when Victor cooks dinner! It’s been a bit of a Saturday Tradition since my schedule changed a few months back. Tonight we had scarlet snapper and a scalloped potato that was just perfect! He floured the fish and cooked it in olive oil and a bit of butter. 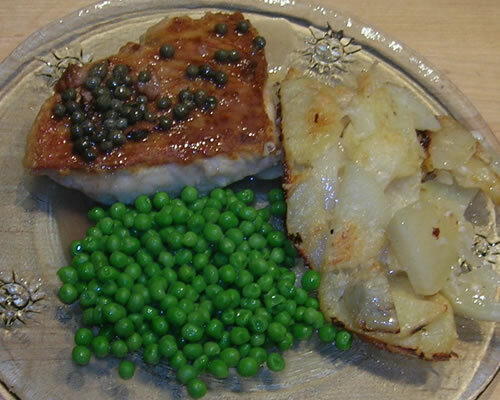 He topped it with browned butter and capers. The potatoes were thin-sliced and baked with butter and parmesan cheese. Peas. Perfect.